Koh Samui is one of the most popular tourist destinations in Thailand. With its picturesque landscape, floral life, golden sandy beaches and calm blue seas Koh Samui is in many ways the ideal holiday destination. There are several beaches located all around the Island each with their own unique points. Below we’ve mentioned the best beaches on Koh Samui. This beach is located on the northern tip of Koh Samui Island. The beach itself is very long and narrow with coarse yellow sand. 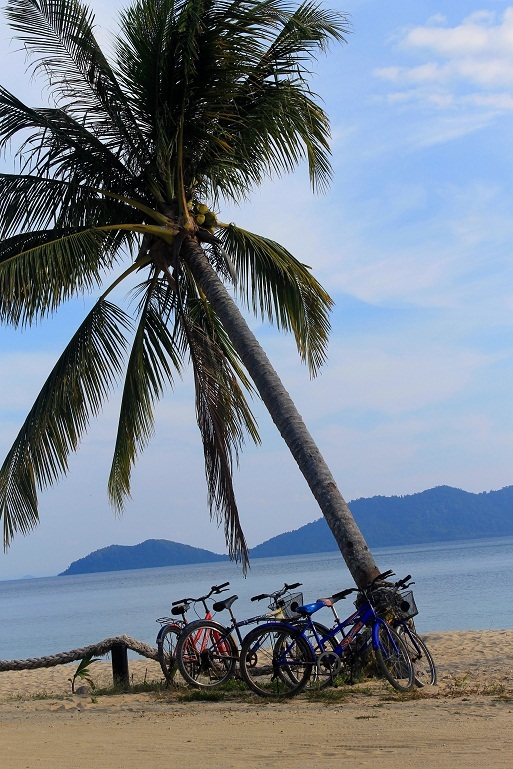 A strip of coconut trees stretching the expanse of the beach provides great shade for visitors. Mae Nan Bay Beach is particularly popular in winter months because unlike some other beaches on the Island it is naturally sheltered from the strong winds that blow during this season. Otherwise, this beach is one of the more quiet and peaceful on Koh Samui. Bophut Beach is also situated on the northern coast of Koh Samui slightly east of Mae Nan Beach. Bophut beach is in many ways similar to Mae Nan in that it’s long, has coarse sand and is relatively quiet. There are, however, a fair number of restaurants and shops near the beach. This coarse sand beach is located in a shallow bay and provides calm waters for swimming. The beach gets its name from a large statue of Buddha located nearby. This beach is also the connection point between Koh Samui and neighbouring Koh Phang Nga. Boats and ferries service the connection between these two islands very frequently. Choeng Mon beach is charecterised primarily by its long thin crescent shape as well as its fine golden sand. The water here is very calm making for pleasant swimming conditions. Palm trees grow along the beach right up to the edge of the water. These two sister beaches are located next to each other ( Chaweng Noi means small Chaweng) and are more or less the same in terms of what they offer. These are the busiest beaches on the Island with the most shops and restaurants around them. This is probably the best beach to come to if you are on a tight budget as there is plenty of cheap accommodation nearby. This is the quietest and most isolated beach on Koh Samui mainly because the rocks in the water make swimming quite difficult and dangerous.